The company is expanding well beyond robotic vacuums. 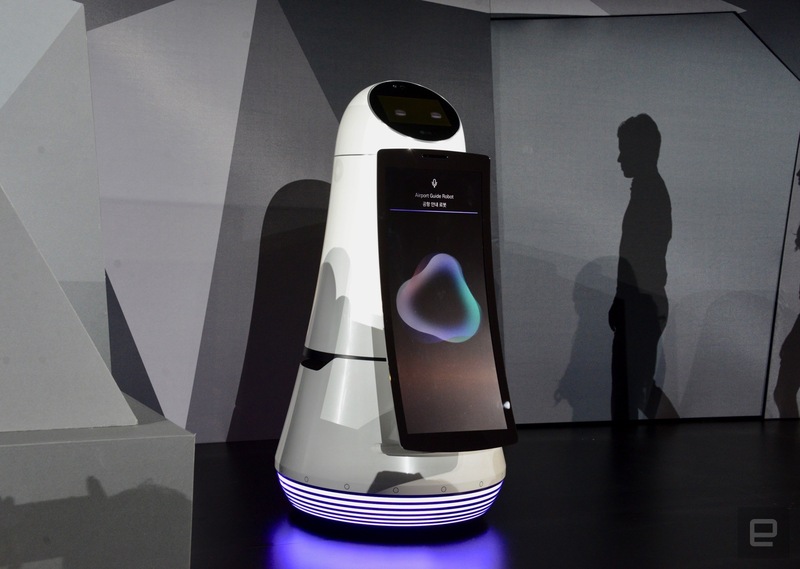 LG said it had big plans for its robots at CES, and it wasn't kidding around. The tech giant has unveiled a handful of robotic helpers that clearly go well beyond vacuums. To start, it's introducing the Hub Robot and its Mini-size counterpart. They can control your smart home devices, play music, offer advice on commuting times and otherwise make your life a little easier, all while offering a friendly face. It basically amounts to an Amazon Echo with cute expressions, but that's not necessarily a bad thing. And, importantly, they're not alone -- they have a much bigger sibling. The company is also introducing Airbot, a Dalek-like machine that guides wayward travelers in the airport. It can provide travel info on its large display, and even walk you through the terminal if you're lost. You'll first see Airbot helping passengers at South Korea's Incheon airport later this year, and we won't be surprised if it spreads elsewhere. The bad news? As of this writing, LG hasn't said when you can get the Hub robots yourself, or how much they'll cost. And those details are important. They won't be as exciting if you have to wait for several months to see them or if they're priced out of reach. We've seen some relatively reasonable prices for home robots so far, but there's no guarantee LG will follow suit.